Liverpool used the 2017 summer transfer window to bring in four new players, but there were still disappointments on deadline day. Jurgen Klopp‘s side left the 2017 summer transfer window in a state of frustration. Rather than announcing the lucrative late arrivals of Thomas Lemar and Virgil Van Dijk, Sky Sports News were left to follow the mystery of Ross Barkley’s Chelsea medical during the final hours of their transmission. After the initial disappointment, and the deflation which came following the false hope applied via social media, how has the club’s business affected the strength of the squad? 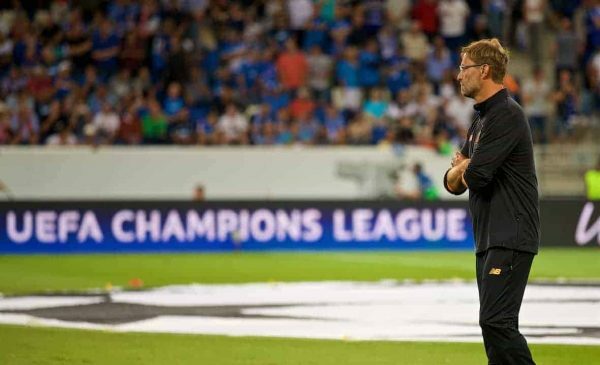 Among the positives for Liverpool are that the strength in depth they have is much more reliable than it was previously. 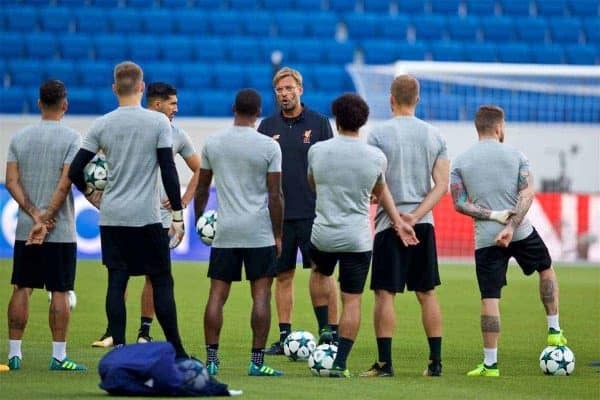 They have put in a couple of excellent performances against Hoffenheim and Arsenal at the start of this season, and are yet to call upon the services of the injured Adam Lallana, the wantaway Philippe Coutinho and new signing Alex Oxlade-Chamberlain. 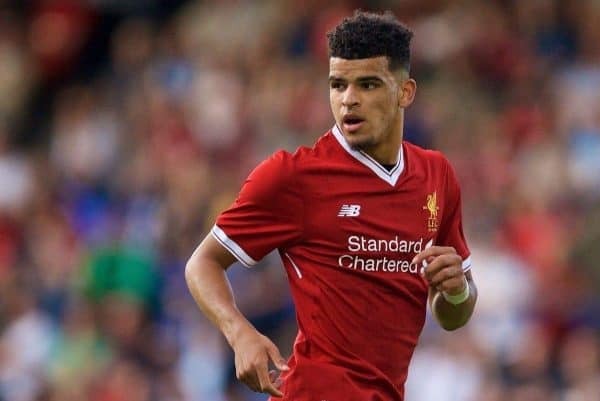 Many other good players such as Andrew Robertson, Daniel Sturridge and Dominic Solanke have only played a handful of minutes. There are now two quality speedsters on the wing as opposed to one, but loaning both Ryan Kent and Sheyi Ojo could see them short of bench alternatives for the pacy pair. However, this could mean more game time for Ben Woodburn and even Harry Wilson, which isn’t a bad thing. 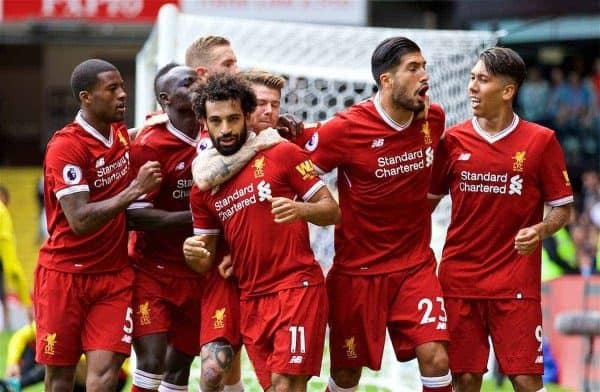 They also managed to secure the signing of a unique talent in Naby Keita, and even though the deal won’t go through until next summer it means Liverpool get their man before other teams began to circle. And while there isn’t one outstanding goalkeeper in the squad, there are three players challenging for the No. 1 shirt, which will see each of them strive for better. Here we assess where Liverpool improved, and failed to improve, in the summer transfer window. If the Reds are to continue playing a 4-3-3 with a 1-2 in midfield, then the two central areas in front of the holding midfielder are well stocked. Mohamed Salah‘s addition to the front three leaves Coutinho free to drop back into midfield, and this alone improves the squad from last year. Coutinho, Lallana, Emre Can, Georginio Wijnaldum, Marko Grujic and burgeoning U20 World Cup winner Ovie Ejaria all offer viable options in this area. A pairing of Coutinho and Can, supported in the squad by Wijnaldum and Lallana, should give the side good combination of drive, flair, strength and control in midfield. The two bonus options in this area are Oxlade-Chamberlain and James Milner. The latter arrives from Arsenal to bolster the squad in numerous positions, and should get games both wide and centrally. Milner will no longer be needed at left-back thanks to the addition of Robertson, and also thanks to Klopp remembering that Alberto Moreno is on Liverpool’s books. Both are quick, attacking and dynamic down the left side, and provide the team with width while also posing a threat on the underlap as well as the overlap. This will be important when it comes to stretching defensive opposition. Robertson in particular possesses great delivery, and even Moreno’s set-pieces are improving. Left-footed options from dead-ball situations are important and the club now have two players who can do a job in this area, even if they might not yet excel in it. 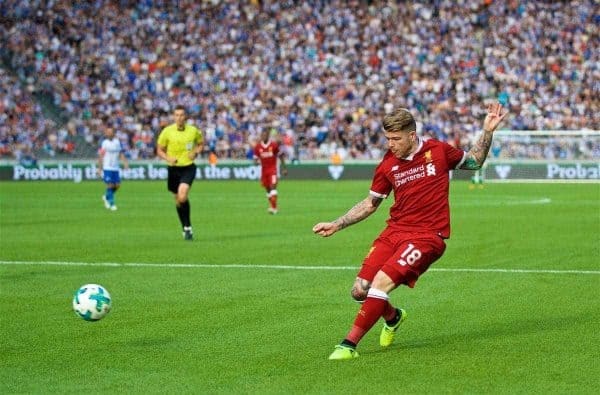 The reintegration of Moreno and the addition of Robertson sees the squad become much stronger in this area, going from having no left-backs to two competent, potentially very impressive options. Milner’s time in the role last season, meanwhile, seems to have benefited him greatly when it comes to understanding the defensive duties required from a midfielder. He’s now keenly aware of the runs of attacking full-backs, and in the game time he’s seen this season he’s done well when it comes to covering and supporting Moreno. 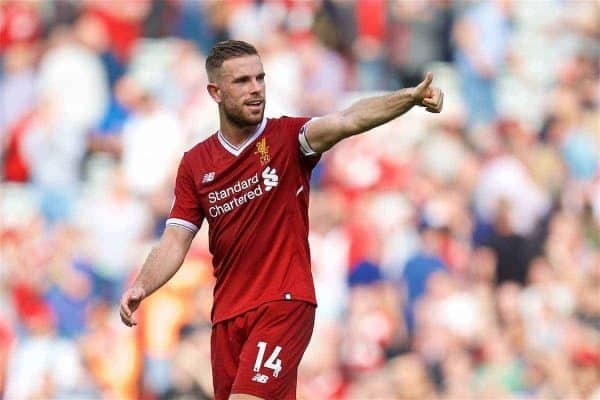 If Jordan Henderson and Emre Can’s best positions are still considered to be further up the pitch in the long term, as many believe them to be, then the club don’t have a single specialist defensive midfielder on their books. Can performed well in this role last season and was more consistent in the latter part, but his performances in the position which Klopp calls “the 8” against Hoffenheim and Arsenal prove that his talents are better used in these more advanced roles. Henderson, meanwhile, does certain things well as a holding midfielder, but defensive positioning and the ability to pick the right pass quickly—unless it’s a switch out wide to one of the full-backs—doesn’t seem to come naturally to him. Lucas Leiva and Kevin Stewart were two players who were more natural in this role, but they weren’t of the required quality. And even though their absence may not necessarily be felt, Klopp is still missing a Sebastian Kehl or a Sven Bender type in midfield. Bender’s defensive traits were so apparent that he’s ended up dropping back into defence following a number of injuries at Dortmund—and aside from Can, who looks like he could play anywhere, Liverpool don’t have any midfielders with such defensive capacity. Which is a shame, as they could do with some reinforcements to the back line. It’s an area of the team which hasn’t improved and has been neglected for a number of years now, dating back to when Rafa Benitez left the club. The club managed to offload the declining Martin Skrtel last summer, but have failed to upgrade on him in three transfer windows. 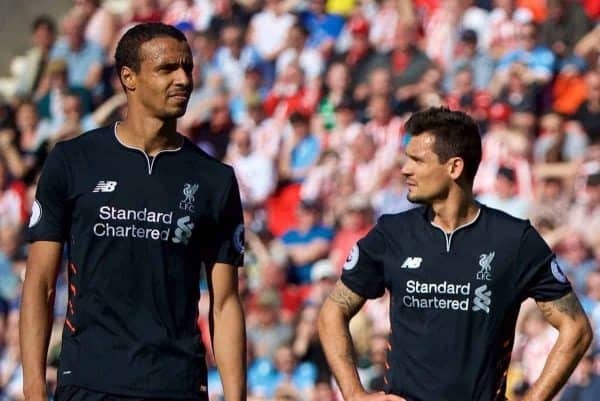 Dejan Lovren has merely replaced the careless errors and lapses of concentration which were seeping into the Slovakian’s game, and though Joel Matip offers a quality option on the right of the defence, the club are yet to find a suitable partner for him. But while centre-back remains unimproved, the right-back position looks more solid than ever thanks to the emergence of Trent Alexander-Arnold and Joe Gomez. Alexander-Arnold looked like he would be the revelation in the position this season, and showed the quality to keep the position ahead of Nathaniel Clyne. 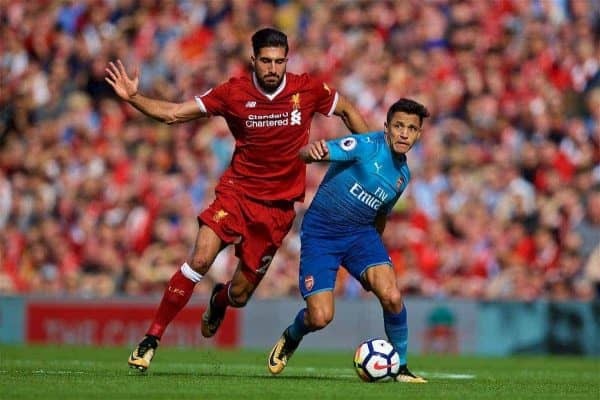 But Gomez’s performance against Arsenal, and especially against Alexis Sanchez, means there are now three players vying for this spot. There are concerns in some quarters about the centre-forward position, but these worries may be unnecessary. In Roberto Firmino, Liverpool have one of the best strikers in the Premier League, and a player who’s gone from an auxiliary centre-forward to a bona fide one. Divock Origi has left the club to join Wolfsburg on loan, but Solanke arrives in his stead. The 19-year-old is more suited to Klopp’s system, and offers a more like-for-like backup to Firmino. Though there have only been glimpses of him in a Liverpool shirt, his displays for England during their U20 World Cup win this summer showed that he has the all-round ability to play as a No. 9 or a No. 10. Sturridge, meanwhile, looks like he could be set for an impact role, which should suit him down to the ground given his past injury issues. Occasional starts and appearances from the bench, as seen against Arsenal, could be the way forward for the player, and allow him to work his way back into England first team ahead of the World Cup. From the U23 contingent, Rhian Brewster could come into the picture at some point. He’s definitely good enough; it’s just a question of how quickly Klopp wants to introduce him into the senior squad. He could see similar game time to that experienced by Woodburn towards the end of last season, and there may be a couple of bench appearances in the League Cup. And it remains to be seen whether Danny Ings’ remaining time at the club is merely for rehab purposes, or if he has a serious shot at playing first-team football again. To summarise, Liverpool’s 2017 summer transfer window was disappointing for what it promised and failed to deliver, and the inability to sign Van Dijk. But on the positive side, the club added more quality to support the first 11, which is now more difficult to choose than it was last season. Young players from the academy have improved and can now be considered first-team players, and the club are also planning ahead by securing the service of Keita for next year.